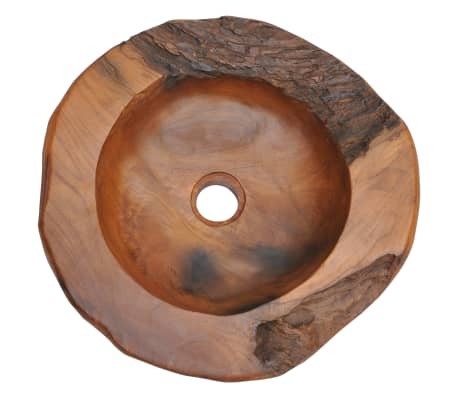 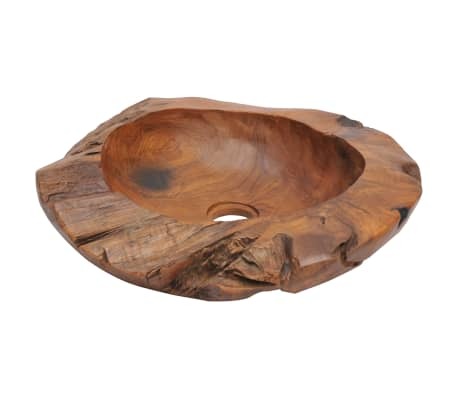 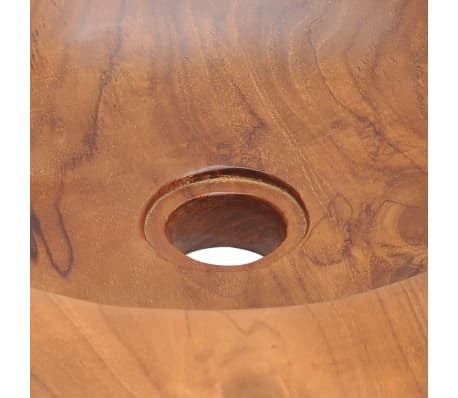 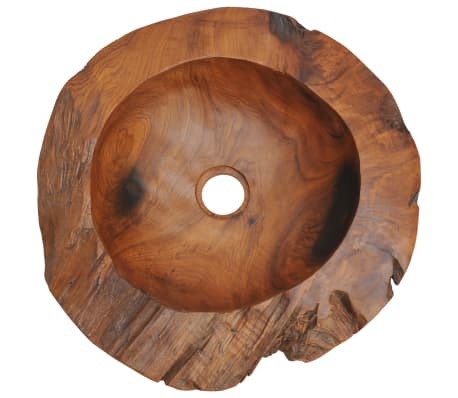 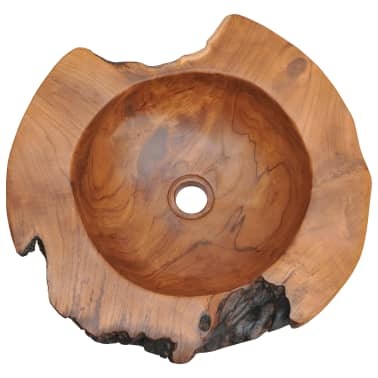 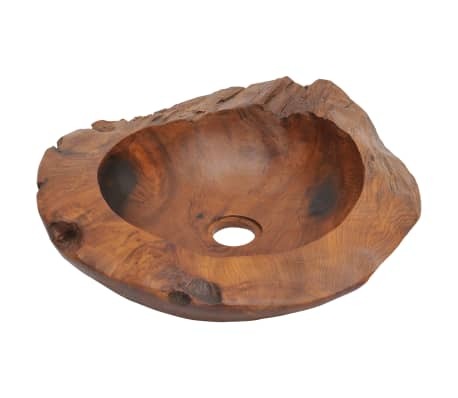 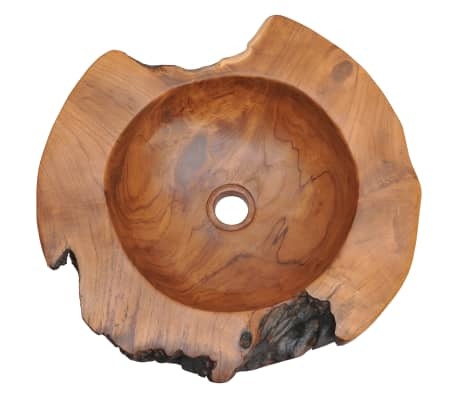 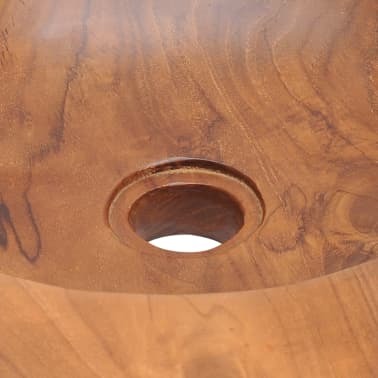 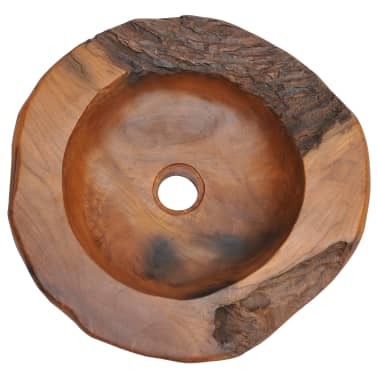 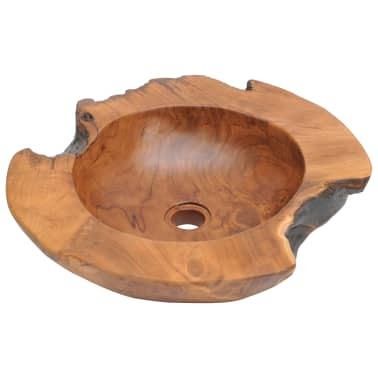 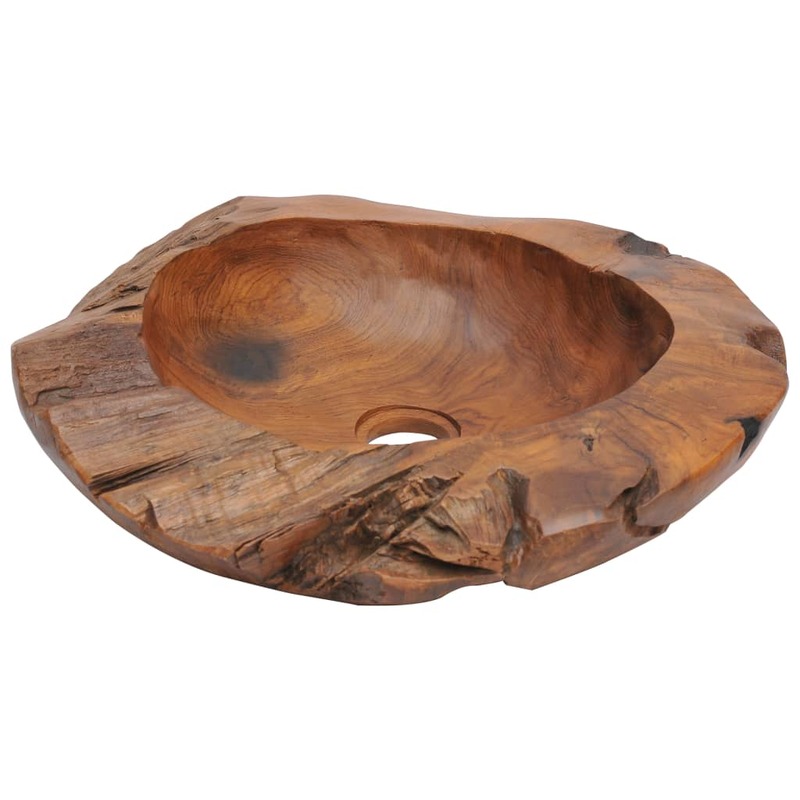 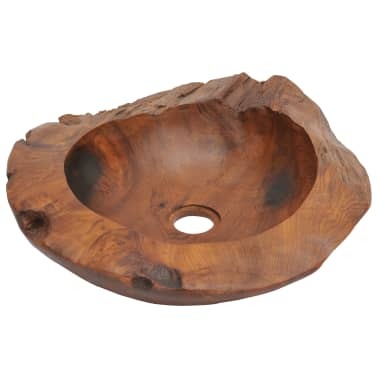 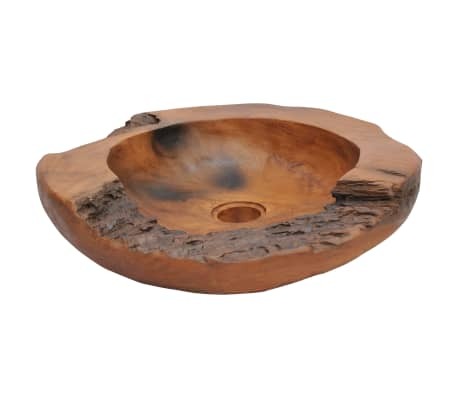 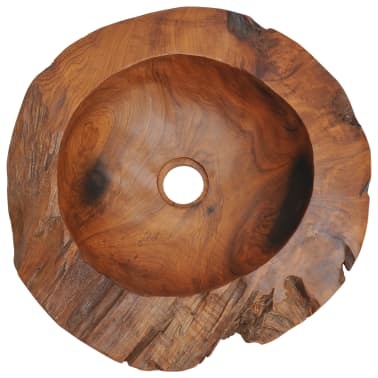 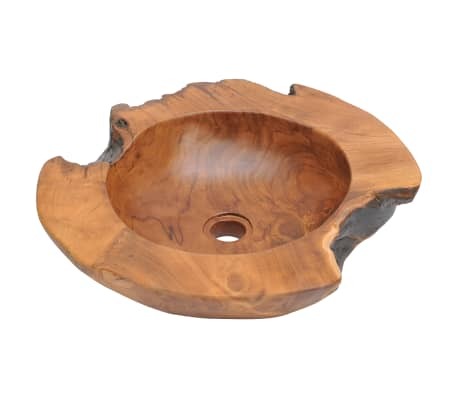 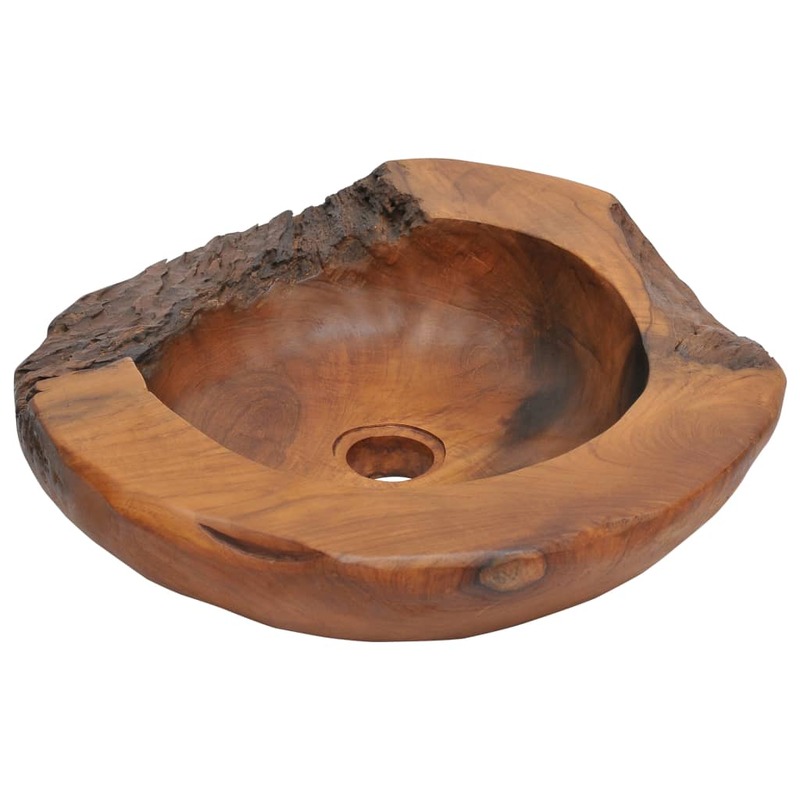 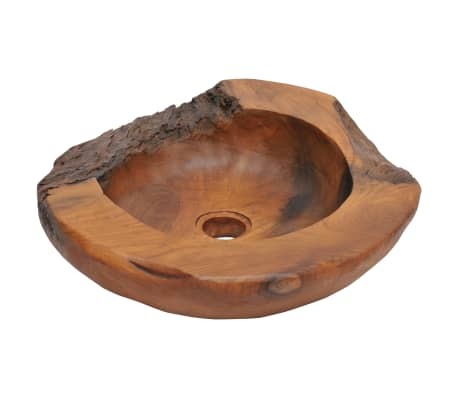 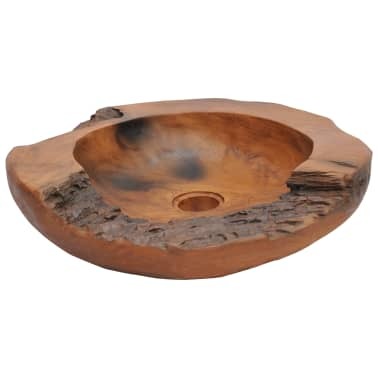 This unique wash basin, made of solid teak with a water-repellant finish, exudes a rustic charm and is a real eye-catcher in your bathroom or washroom. 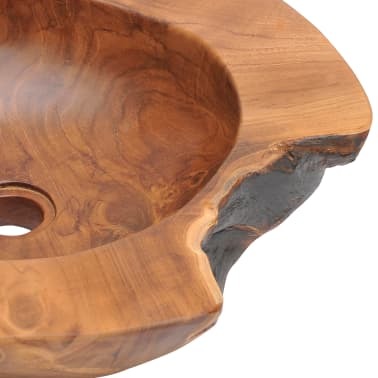 It should be mounted above counter. 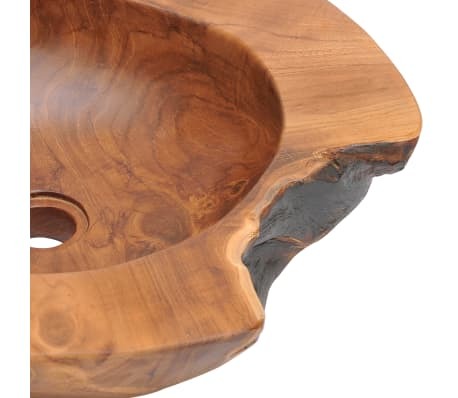 Important note: As wood is a natural product, the colours, grain patterns and shapes vary from piece to piece, making each of our wash basins unique and different from the next; the delivery is random.